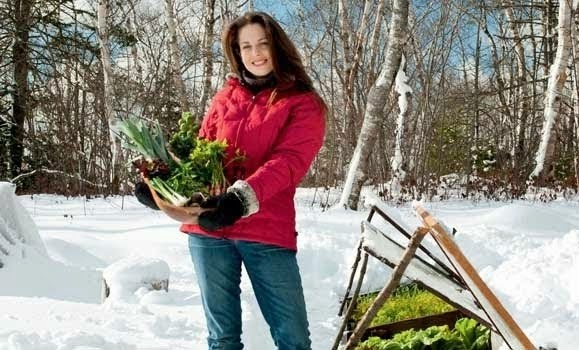 Niki Jabbour - The Year Round Veggie Gardener: Harvest time! Shoots = Fast Food! Harvest time! Shoots = Fast Food! 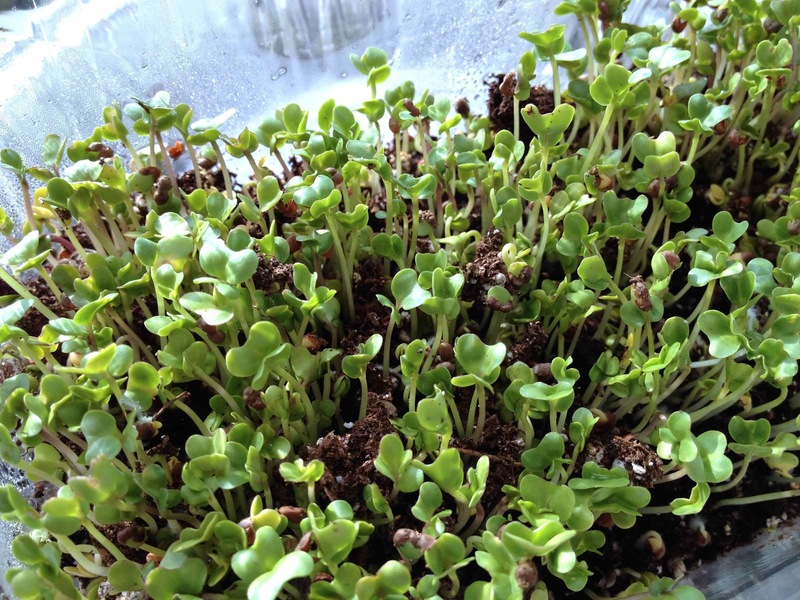 Ok, my broccoli shoots are ready!! How's that for fast food? 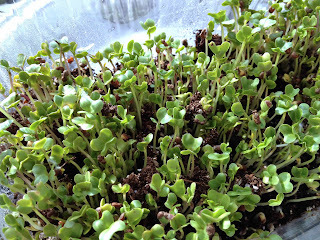 I seeded last Tues.. and we started nibbling on the tiny plants on Friday.. Tonight I will use them to top a stir-fry, whose leftovers will be turned into wraps tomorrow (with more of the broccoli shoots added for crunch!) yum yum.. Some photos of their final hours.. 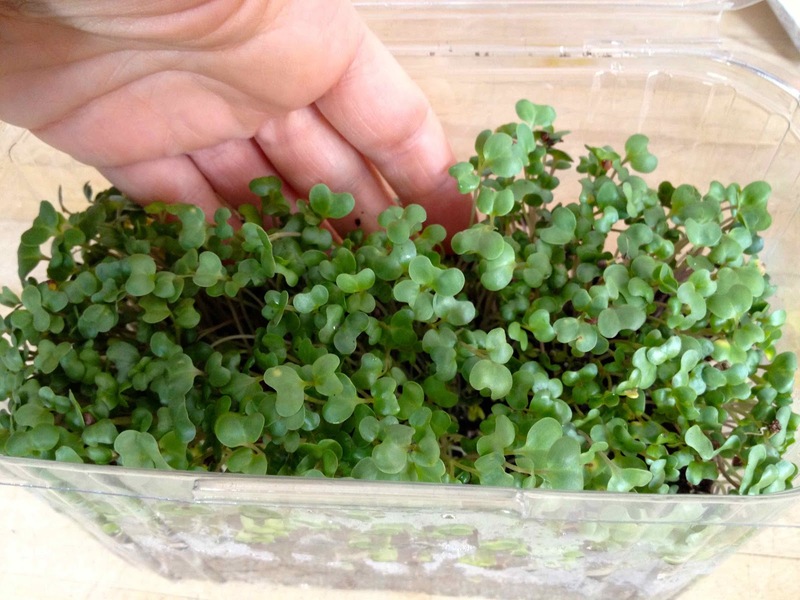 If you're interested in learning more about growing shoots and even microgreens, check out this book by Fionna Hill. 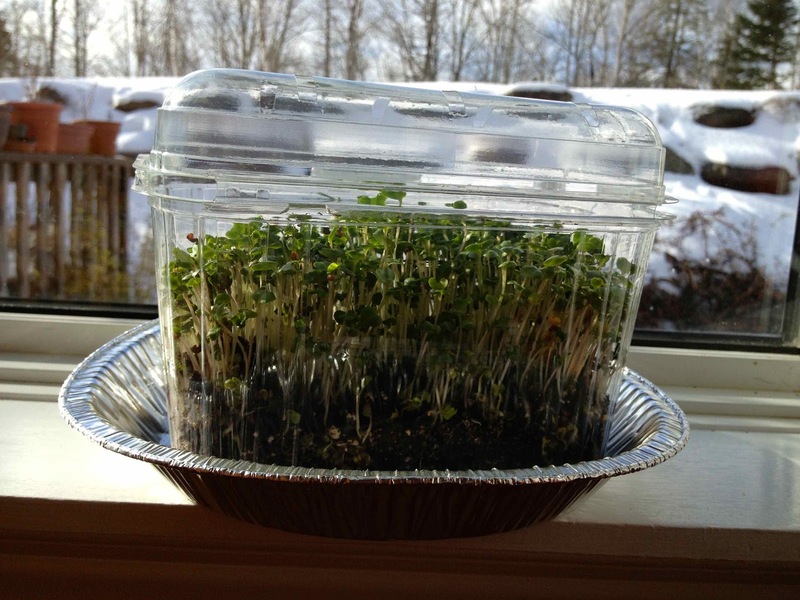 If you have a sunny windowsill or an unused grow-light, you can quickly and inexpensively grow more food.. Have fun! 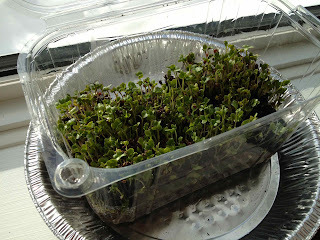 Friday - they're just over an inch tall..
Today - the shoots have reached the top of the container! they've grown in the past few days. 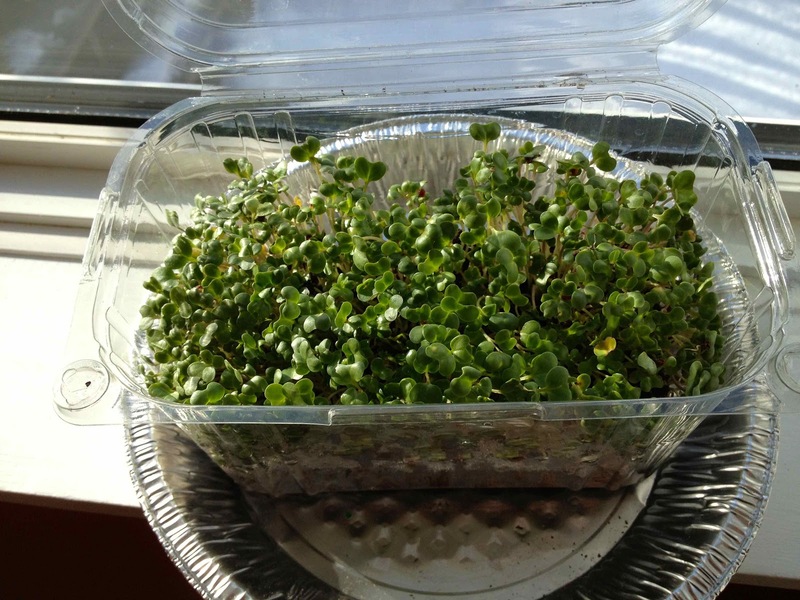 Great blog....I have been interested in trying some micro greens....this just gave me the push. So glad Stacey! Great to connect.. 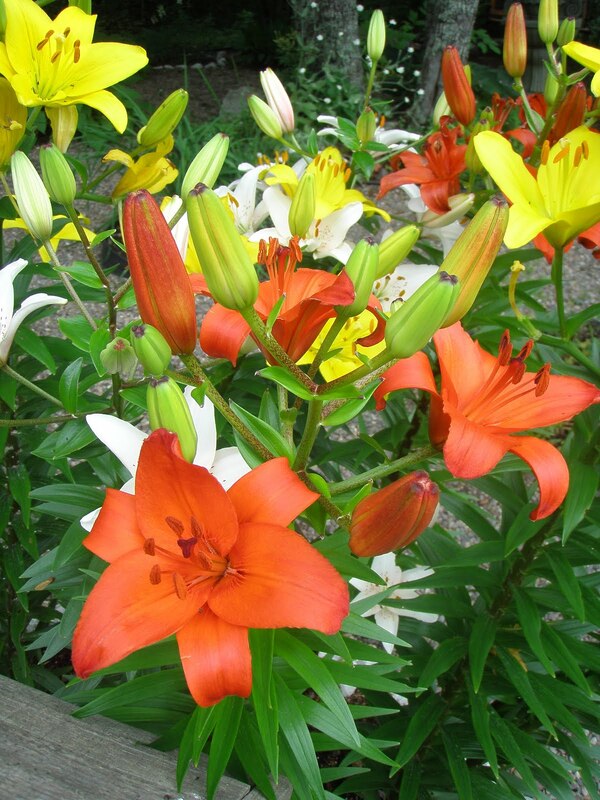 I look forward to following your blog too! 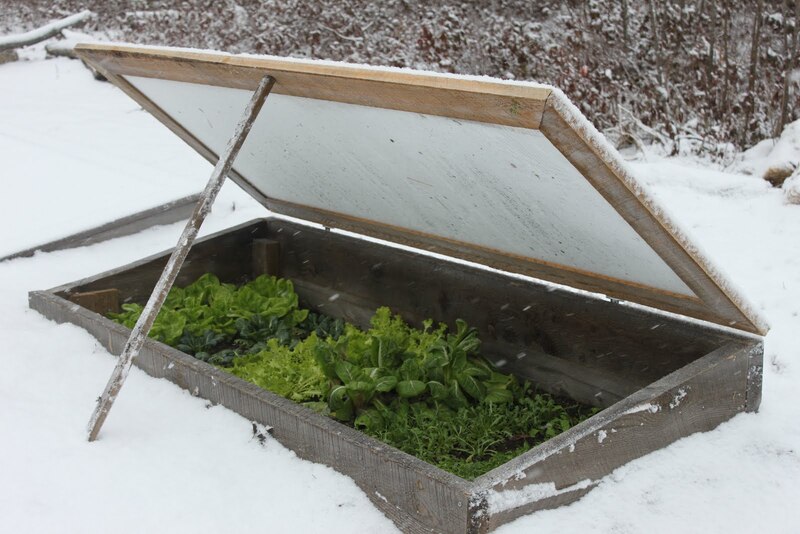 i'm wondering if this would work this time of year in a solar greenhouse .. not that warm inside yet, but quite light .. maybe february would be better .. any thoughts are welcomed ..
oh, great idea! 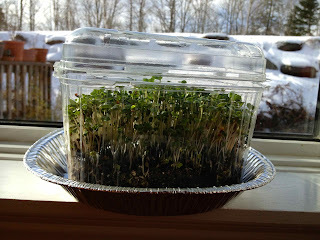 I would prob wait until Feb, at least in my region, but most of these - kale, broccoli, radish, arugula, etc shoots/microgreens don't need warm temp's. As long as it's above freezing, they should be fine. Sunflower shoots, on the other hand are warm season plants and planting of those should wait until temp's are above freezing in the solar greenhouse. Fun! Keep me posted..
You've made my mouth water! 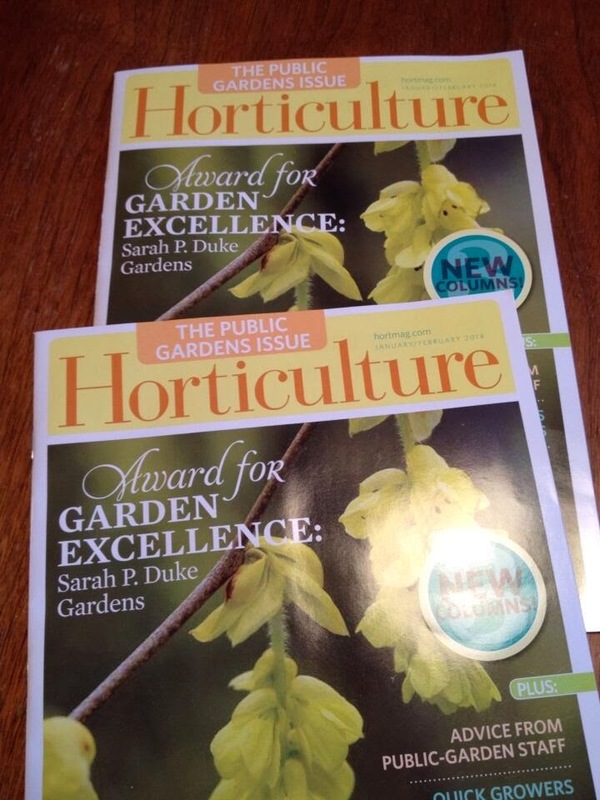 :) They look great! I'm going to sow myself some seeds! Greetings from snowy Poland! My shoots have just sprouted! Just wondering if I should be leaving the container lid down or not. 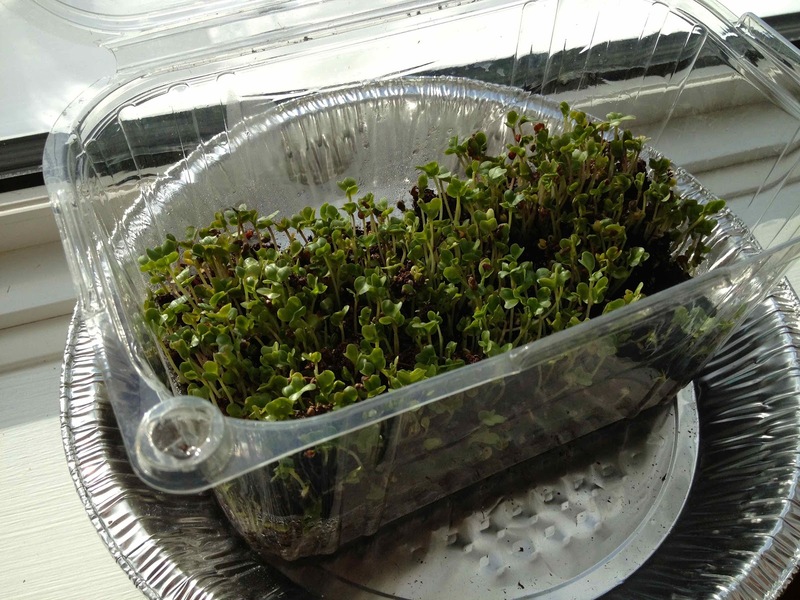 I panted in a plastic salad container similar to what you have in your pictures, and have kept the lid down until today (day 3 or 4). Very interesting. These look like sprouted lentils to me? They look yummy though!